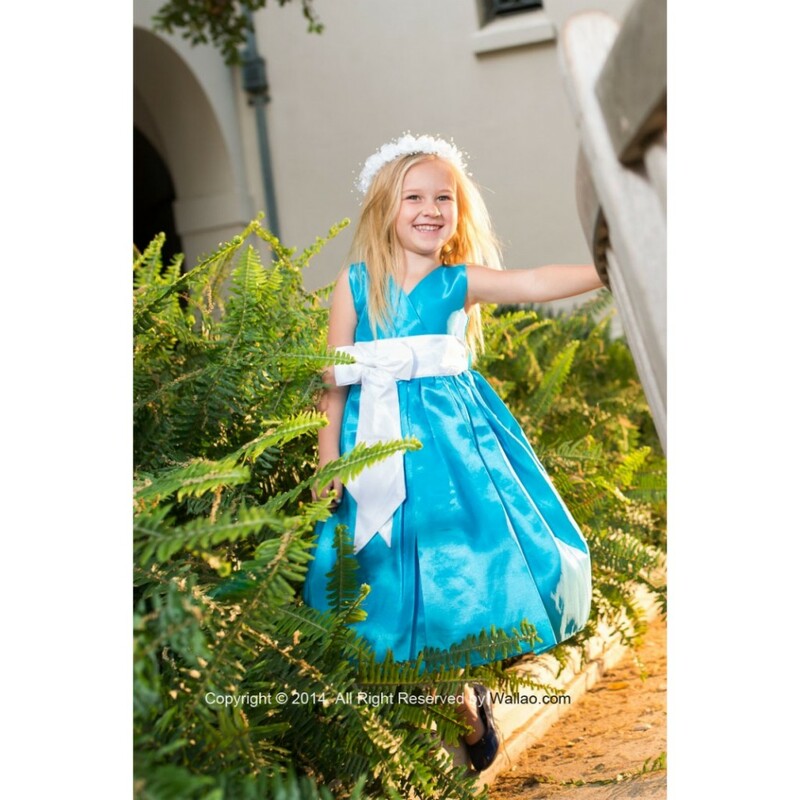 It is quite natural that you might forget the dresses of the small members of your bridal party – flower girls and ring bearers. But keep in mind that the task can be equally challenging as choosing your bridal gown, and should be given enough time and consideration. Here are some useful tips about how to choose a flower girl dress and ring bearer’s suit/tuxedo. Children are perhaps the most excited members of your bridal party because they are to accompany the most important person of the day. But remember that they can be the moodiest too. If something is chosen for them which they don’t like or are not comfortable with, they won’t be happily involved in your wedding ceremony. Therefore it is important to look at their comfort and liking first while choosing dresses for them. Take care of not choosing a dress that is scratchy or shoes that are too tight. So also, season should be taken into consideration. If summer or spring is your wedding time, choose to have a light and air-permeable material. Also choose a sleeveless dress because that will keep the child cool. But if you will be tying the knot in winter or fall, you should choose a warm material and long sleeves. In addition, you have to choose something for them which should suit your wedding theme. So, you will have to try balancing between the children’s liking and your choice. It is simply unadvisable to take the child to the shop and then start thinking which style to choose. You can do research beforehand to avoid the children’s irritation and boredom. First think upon what you want before involving anyone else in your decision. Narrow down your own choices so that the process will speed up. Next, you can try to guess what the children’s choice is, by showing them what you have chosen for them. Remember, don’t take too long while asking children their choice, because then they will become impatient, restless or bored. This is perhaps the best choice because you and the children can get a lot of preferences. Take care of choosing dresses of correct sizing. It is very important to check the sizing before ordering the dresses for the children. Online shopping has a benefit that you get a tremendous variety of materials, quality, prices, colors and styles. 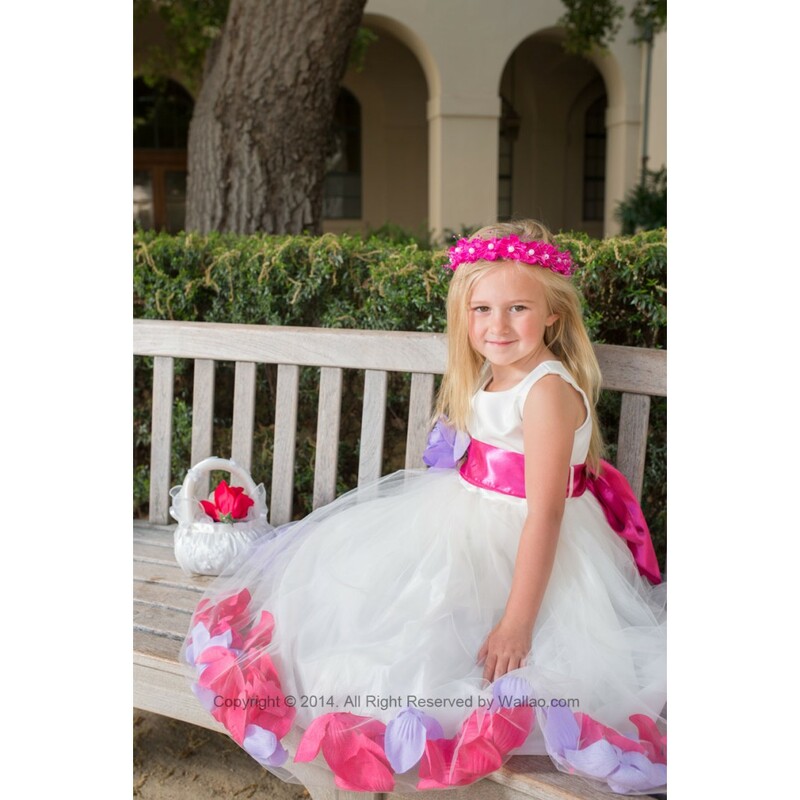 You can choose white color dress for the flower girl or a colored dress, most preferably of the color of the bridesmaids’ dresses. Though the ring bearer’s suit should be chosen only black or white, choosing flower girl’s dress can be fun because the variety of colors and styles it offers. Choose a color that will match the color theme of your wedding. 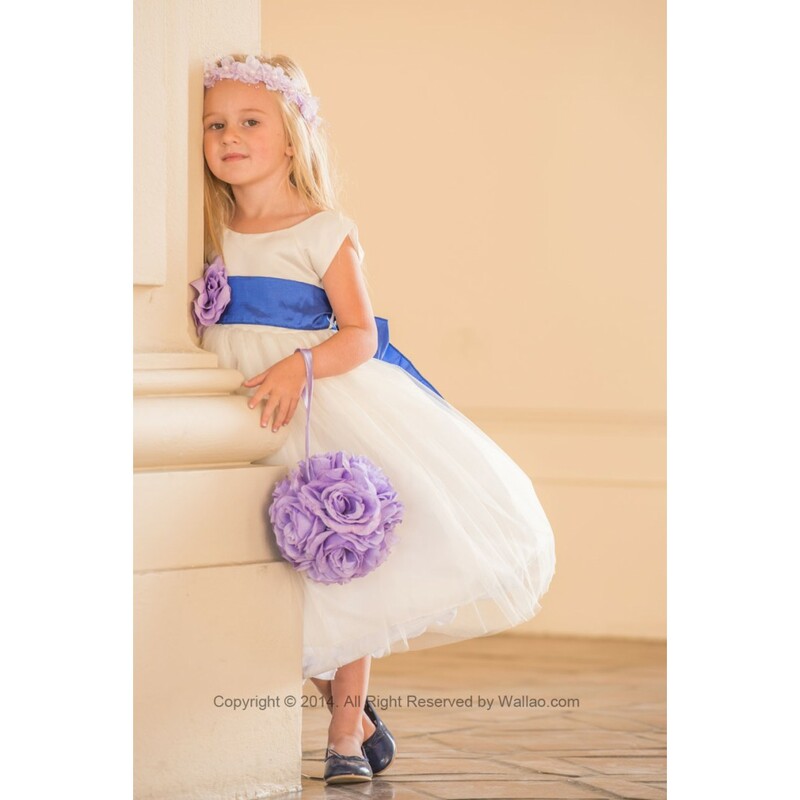 Visit Wallao.com for a fabulous collection of flower girl’s dresses, boys’ tuxedos and suits and other kids costumes. All their dresses are high quality and affordable and they strive to offer you a great shopping experience. 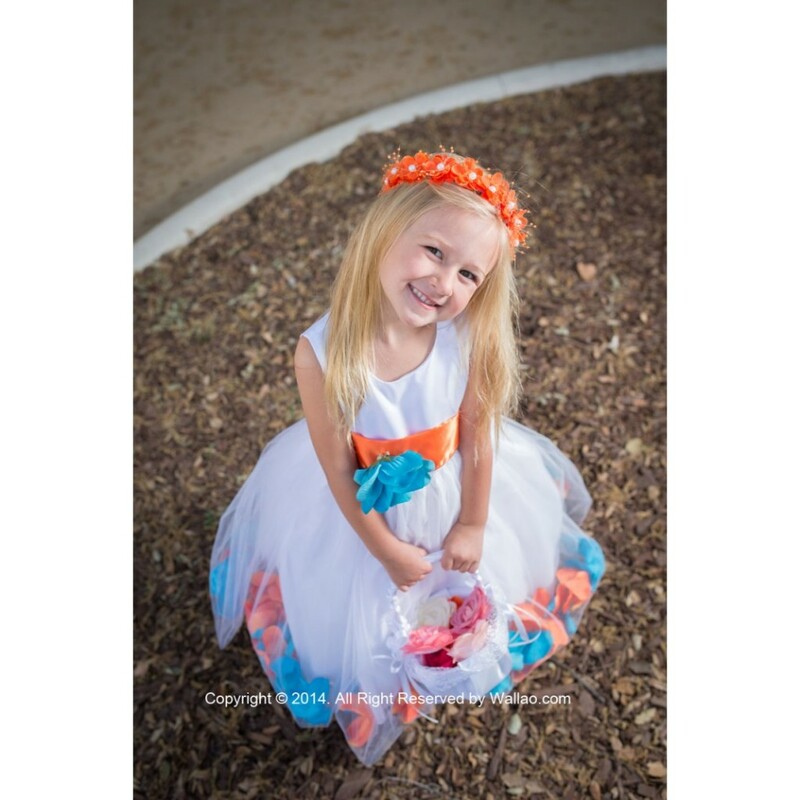 The lovely flower girl dresses in this article are their courtesy.